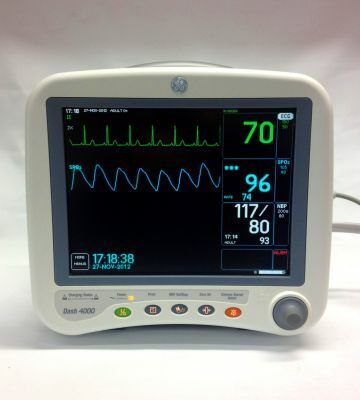 GE Dash 4000 Vital Signs Monitors offer a high-performance, mobile monitoring solution that provides life-critical patient data no matter where you are. Extremely easy-to-use, Dash Monitors are versatile enough to implement throughout your enterprise. Lightweight (under 10 lbs), durable, and ergonomic, Dash Monitors can be used wherever you need a reliable patient monitor.